Creative agency BMF has launched a new campaign for ALDI’s mobile plans. Decoding a mobile plan isn’t for the faint hearted. Sometimes you don’t really know what you are getting and whether you actually need it, which may result in purchasing a whole lot of data, text or talk plan waste. Enter ALDImobile. 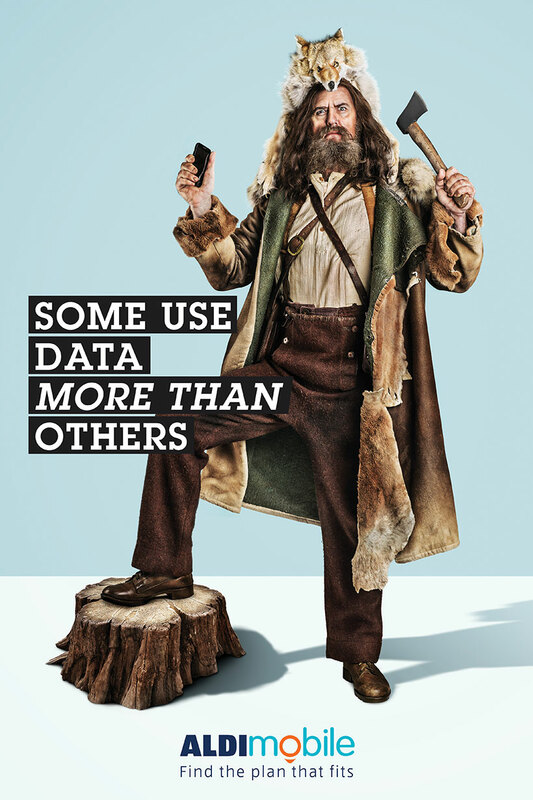 Plans designed to fit whoever you are; be that a data lord, a serial texter or endless talker. Or not. Ultimately eliminating waste and unnecessary stuff you might not even use. 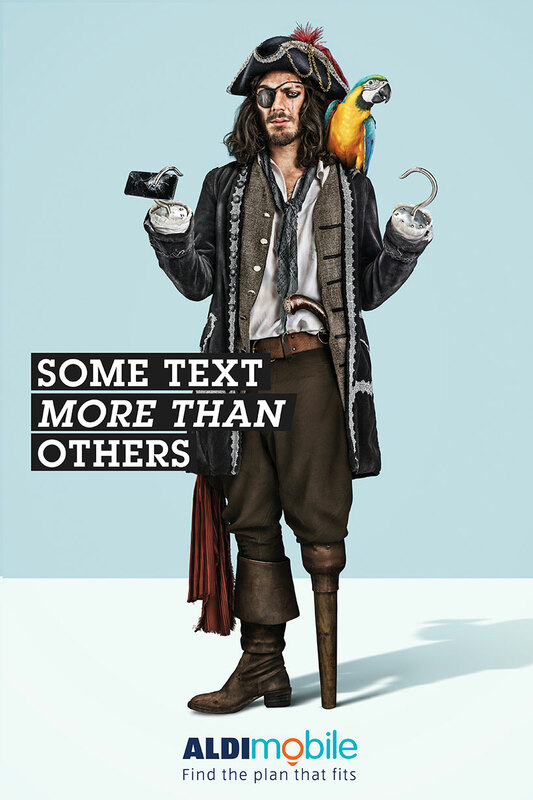 Through ALDI’s uniquely wry eye, a pirate, a mime and a woodsman dramatise how ALDImobile plans are designed to fit your specific needs of talk, text and data. 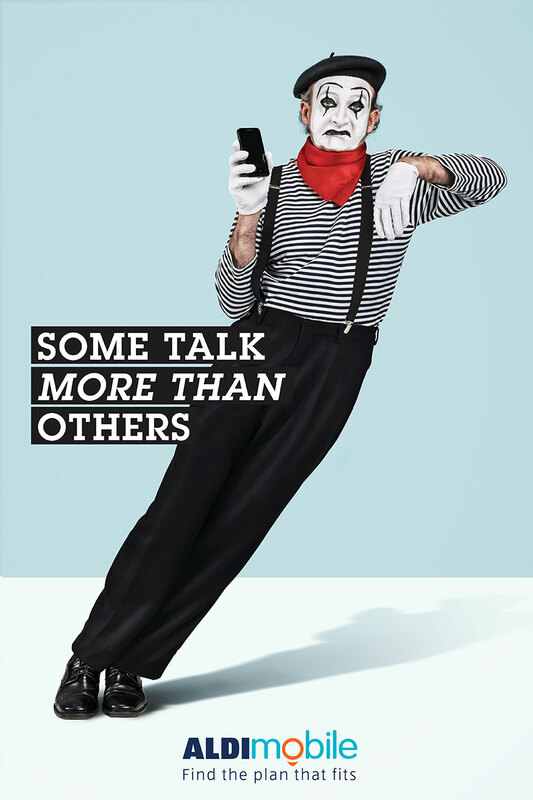 “What better way to convey the key attributes of ALDImobile’s new plans than via a French mime and his invisible cat, a two hooked pirate and a wood carving mountain man who’s never lived with people, let alone heard of email?” asked BMF managing partner, Stephen McArdle. The campaign launched on this Sunday and is already generating awareness of the different value packs for ALDImobile with 3 x 15sec TVCs, in catalogue, digital and in store.